It’s football season! 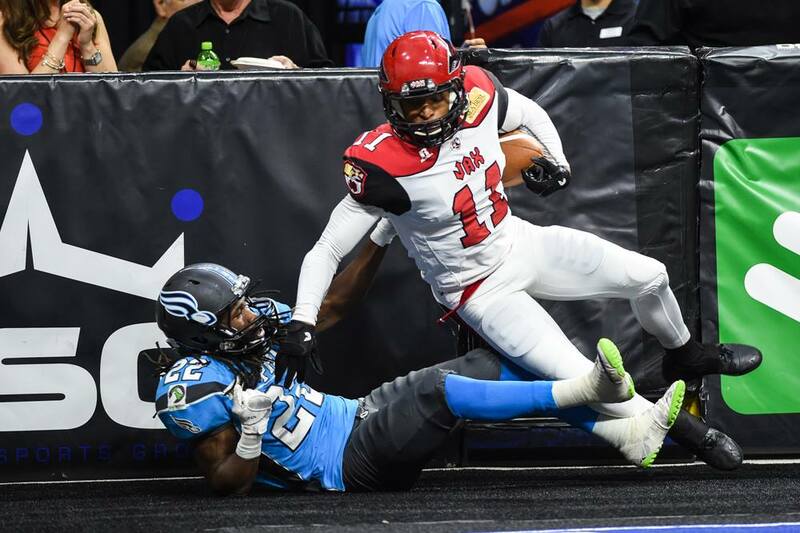 Okay, it’s not regular football season just yet, but it IS arena football season and the Jacksonville Sharks are ready to attack. I am super excited to have teamed up with the Jax Sharks for the season and be a part of all the fun! Truth be told I have never been to a Sharks game (or any arena football game, for that matter), but I’ve heard so many people talk about how much fun and intense these games are, so I’m super pumped to experience what all the hype is about for myself. The season kicks off tonight at 7 p.m. as the Sharks take on the Orlando Predators, and tonight’s theme is … wait for it … Redneck Night! Pretty sure I have a Monster Jam T-shirt and a camo hat can bust out. I knew I was hanging onto those for a reason! If you’ve never been to a game and want to give it a go, or have been waiting for the season to start back, tonight’s game is the perfect excuse to get out of the house and head down to the Arena. Tickets for the home opener tonight are BOGO (yes, buy one get one FREE) adult tickets for Jacksonville residents, and all kids 3-12 are free with paying adult! Or, if you plan on going to more than one game, season tickets are only $99 for a pair … that’s a no-brainer! What better way to end a Monday and kick off the week? Visit their website for ticket information. I’m looking forward to an exciting season of arena football, theme nights, rivalry, and supporting a local sports team, as is my hubby! Be sure to Like the Sharks on Facebook to stay up-to-date on all the fun and be a part of the team. Oh, and stay tuned to my Sharks Series on the blog – I’ll be sharing game day tips, photos, and have some fun giveaways along the way! 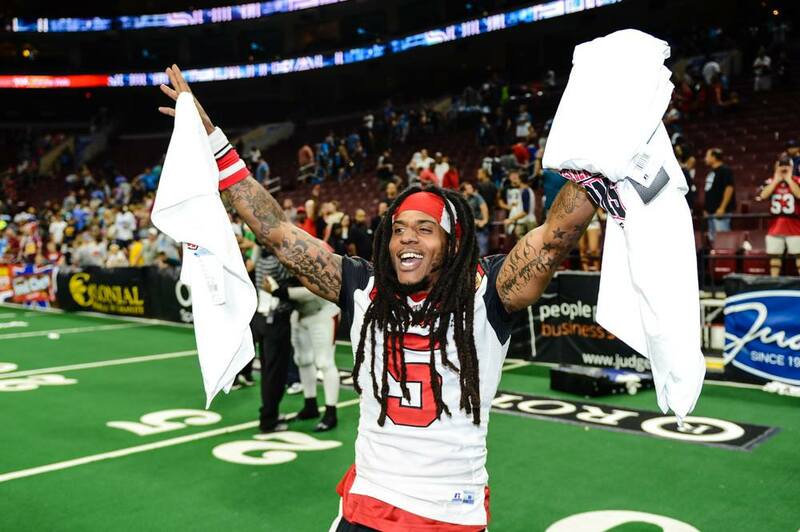 In the meantime, follow the hashtag #jaxsharks16 on Facebook, Twitter and Instagram to see what’s happening. And fellas, their cheerleaders are gorgeous. You know, in case you need another excuse to go watch some football. Time for some football. LET’S GO SHARKS! 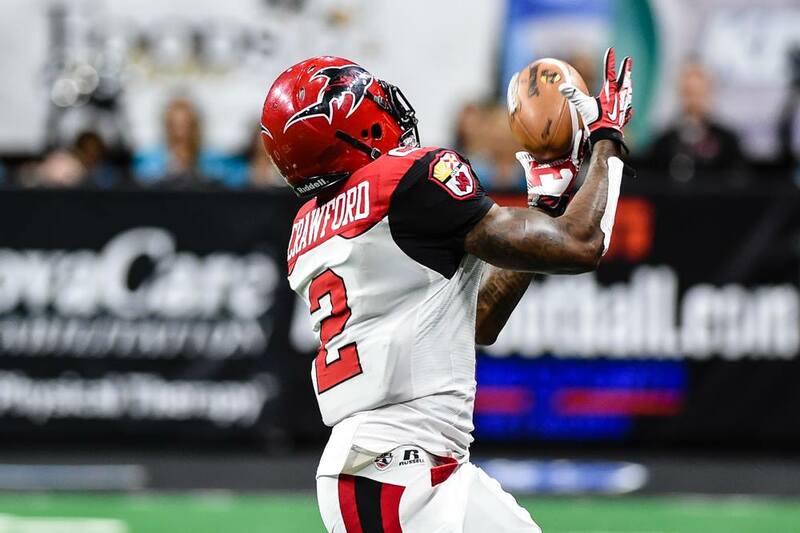 Disclaimer:Thank you Jacksonville Sharks for sponsoring this post. All opinions are my own. Photos via Jax Sharks Facebook Page (taken by Mark Palczewski).